Click the button below to add the 85 86 87 88 Ford Thunderbird Aluminum Champion Radiator to your wish list. Check Out Champion Customer Russ, Testimony, and Video1968 Ford Mustang Coupe 302ci +500hp!After building A 302ci racing engine my stock radiator couldn't keep it cool. My racing friend suggested I get a 3-Row Aluminum Radiator and I expect to pay over $500. 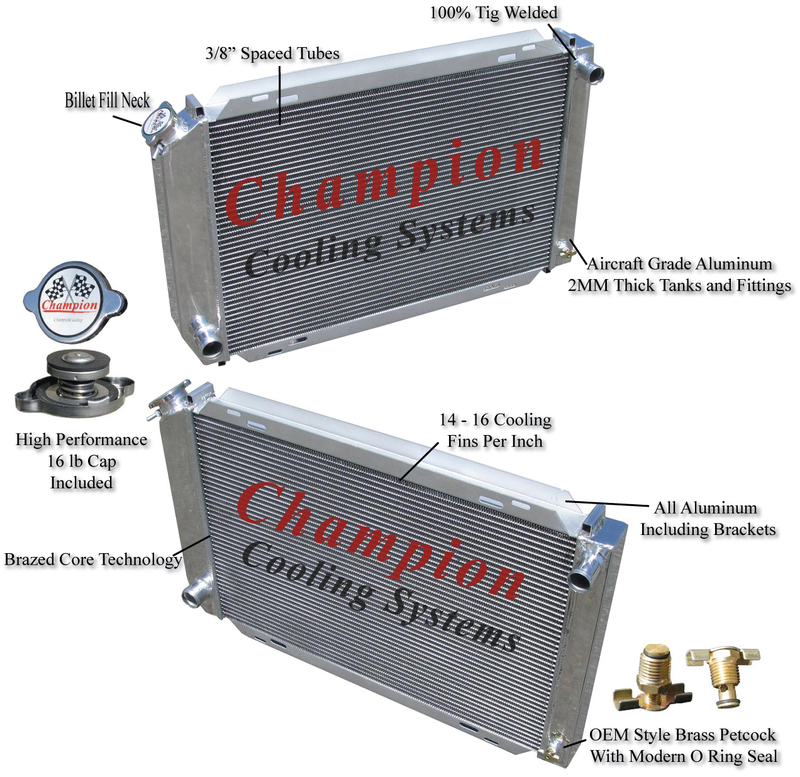 I found Champion Cooling who had the best value and an easily installed 3-Row Aluminum Radiator for under $300. The inlets and outlets fit perfect. After that, many photos were taken by POPULAR HOT RODDING Magazine. I know that made the guys at Champion Cooling crack a smile. Will Cool Up To 750hp You will not find a better guarantee anywhere on eBay! Upper inlet: 1 1/4" located on passenger side. Lower outlet: 1 1/2" located on drivers side.